With so many types, models and prices of mountain bikes available on the market, the process of buying one is quite complicated. But, if you’re really into riding a mountain bike, it will be worth it. 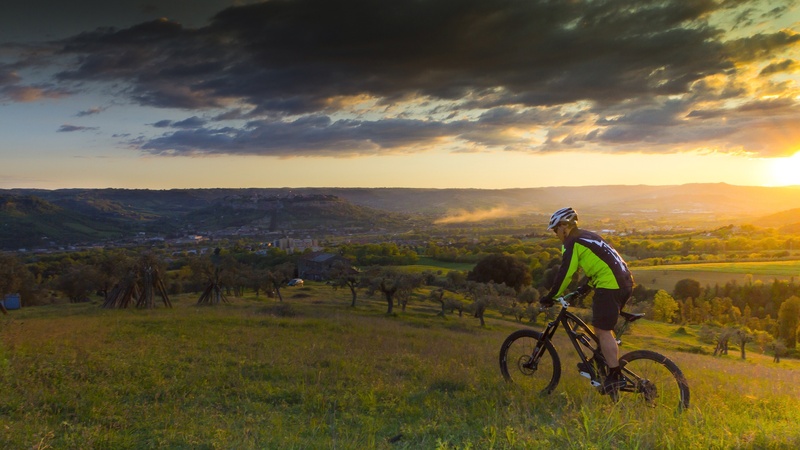 In this article, I will try to inform you about the things you should look for when buying a mountain bike you can afford. First of all, you need to establish your budget. A modern mountain bike could cost you more than $8,000, although you don’t have to spend that much to get a good quality bike. If your budget is, for instance $200, you need to look for the best mountain bike under 200, which might be difficult, yet not impossible. Anyway, it’s important to purchase a mountain bike that will enable you to have a fun and safe ride on the trail. In general, there are 3 main types of mountain bikes: downhill, trail/all mountain and XC. If you’re about to ride local trails, there’s not need to buy a downhill bike. Instead, buy a nice trail bike and, if you need a downhill bike once a year, rent one. When riding on marked trails, a nice quality trail bike will get you safely there and back. However, if you’re going to spend most of your time lift serviced or shuttled, than opt for a downhill bike if you can afford one. Before you make the final decision, make sure you’ve thrown your leg over your bike. For that reason, try to avoid mail order and spend some time at local shops. Take several bikes for a short test ride and get one that you like the best. This is a very good idea, especially if you want to buy a used mountain bike. I hope these tips will help you find a mountain bike that meets your needs and fits your budget too (check out mountain bikes under 200 too).